Heidi Hardt, author and assistant professor of political science at University of California, Irvine, will explore “Gender Mainstreaming in International Organizations” in the Surfboard Room at Payson Library in Malibu on Wednesday, October 24, at 11 AM. 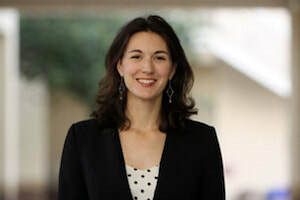 As the first discussion in a series of lectures focusing on women in the realm of international studies, Hardt will investigate how and why organizations such as NATO are incorporating women’s feedback to change policies that can improve national security. This event is co-sponsored by Pepperdine Libraries and the Seaver College International Studies and Languages Division. For additional information about this event, visit the Pepperdine Libraries website.